Remember that talkative candelabra from Beauty and the Beast? Well, in this game, imagine you’re kind of playing as his distant and silent cousin. That’s right, you’re a little Candleman with only a few seconds of illumination to get through each level of the game. Candleman initially started as a Ludum Dare game designed to the theme of ’10 Seconds’. Gao Ming, the producer of the initial version of the game, was struck with the idea of playing in darkness with a limited amount of light. The initial protagonist was an adventurer exploring a dungeon with a torch which only flickered for ten seconds before going out. Over the years, this character developed into a small walking candle, with just about enough light to illuminate its surroundings. And boy, what gorgeous surroundings they are. You get ten seconds of illumination, with the option to light other candles along your path. If you lose too much wax, you lose a life (don’t worry, you get ten for each level). Each time you lose a life, your candle gets shorter and eventually quite stubby, so you have to ration your wax quite carefully, lighting just about enough of the way to hopefully pass through the puzzles and reach the next checkpoint. Lose too many lives and you have to restart the entire level. 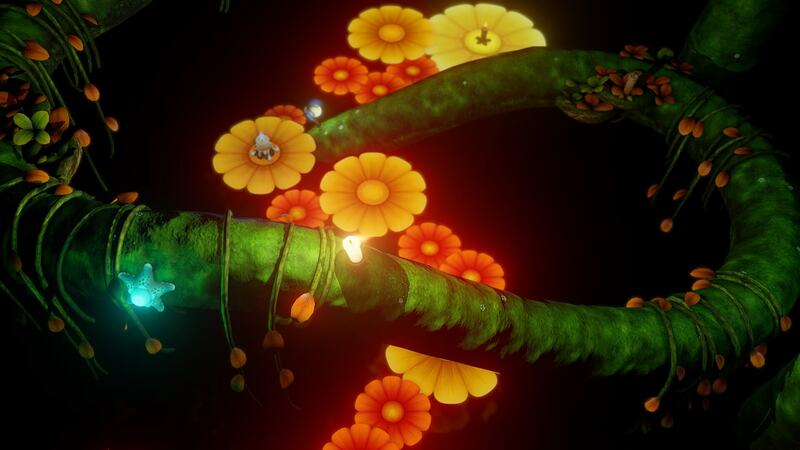 From the innards of a ship to staircases made of books, to the blooming spikes of beautiful but deadly illuminated flowers, to giant cogs and colourful fireworks, each level of Candleman can only be described as dazzling in its own way. The game’s strength is in its evocative atmosphere which — combined with twinkling musical notes and well-timed sound effects (the little candle’s brass feet tap-tap-tapping as it runs on certain surfaces in particular) — just feels magical. It’s a beautiful game to play with all the lights out in your house, wearing wireless headphones, just by yourself. However, it can be frustrating at times. With the fixed camera perspective, it’s sometimes tricky to see what the next step in the darkness is (literally) and a couple of times, you do actually lose sight of the little candle. Despite the relatively slow start, Candleman picks up once the little candle meets its hero and the levels are well-designed, developing with each chapter to keep the game intriguing enough. Some of my personal favourite bits towards the end of the game? Responding to a chime in the darkness, floating on flowers down a stream and setting off fireworks. Although the rhymes that start each chapter throughout the game started to get a little stale towards the end, perhaps due to their repetitive nature, I found the ending poetic and beautiful. Developer Spotlighter Interactive shared that they hope players will come away from the game acknowledging their own limitations when following their dreams, yet also recognising their own unique strengths. They recently showcased Candleman at PAX East and will be going to Dreamhack in Austin, Texas, in June, so be sure to keep an eye out for them if you go. 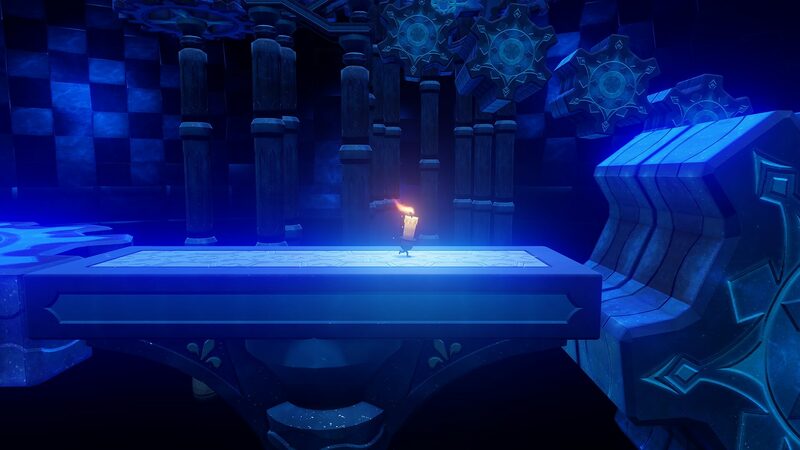 Candleman is eerily beautiful, a rollercoaster of hope and despair with a unique little protagonist who you find yourself rooting for at every jump and puzzle. It is certainly well worth your time! 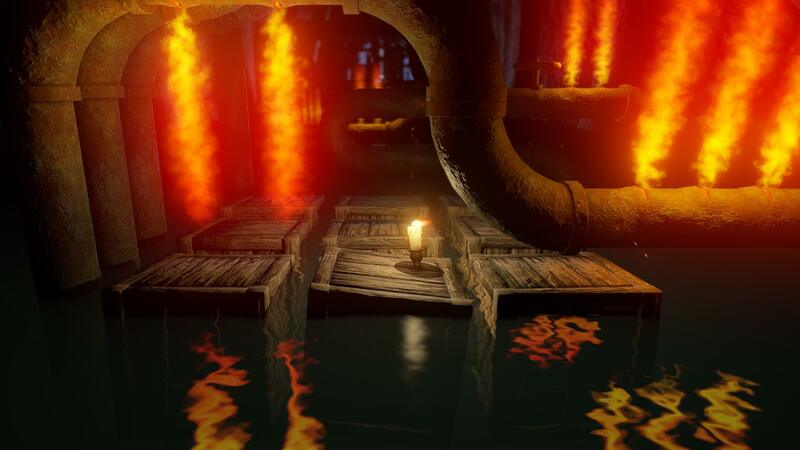 Available on PC and Xbox One, Candleman will also be out for the PS4 soon. Likes to read, write, game, watch films and eat. Sometimes all at the same time.